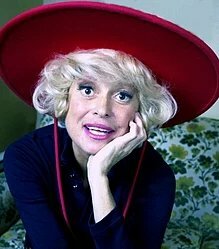 We remember Broadway legend Carol Channing, who passed away last week at the age of 97 with part of an interview we did back in 2002. She was also the author of Just Lucky I Guess: A Memoir of Sorts . Clinical Forensic Psychologist, Dr John Huber, talks about a study on how overuse of social media can lead to depression. This week’s opening slate is presented by Zoe Chee, Program Director at Astronomers Without Borders.